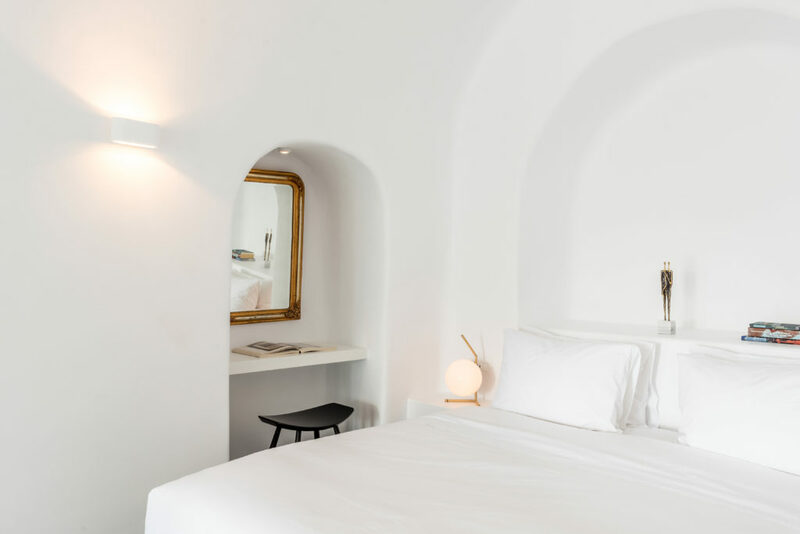 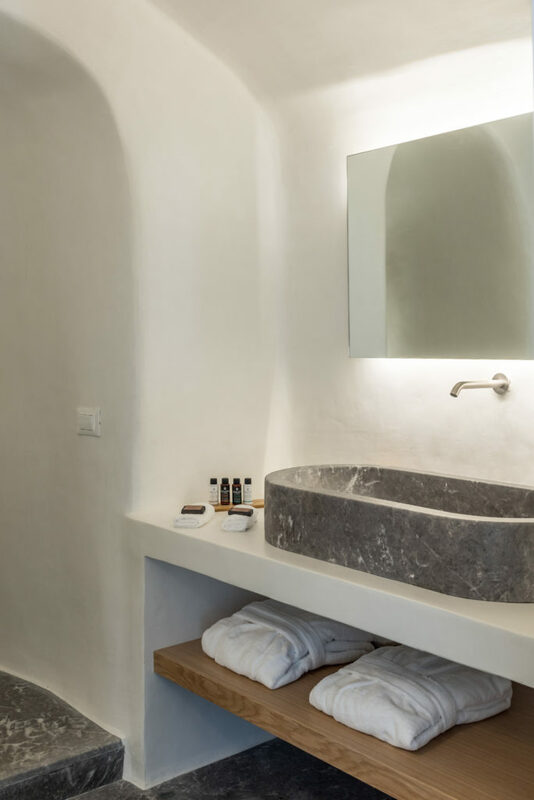 Our current flagship offers an even larger space (60 sq.m) of open plan rooms with marbled floors and a private cave plunge whirlpool. 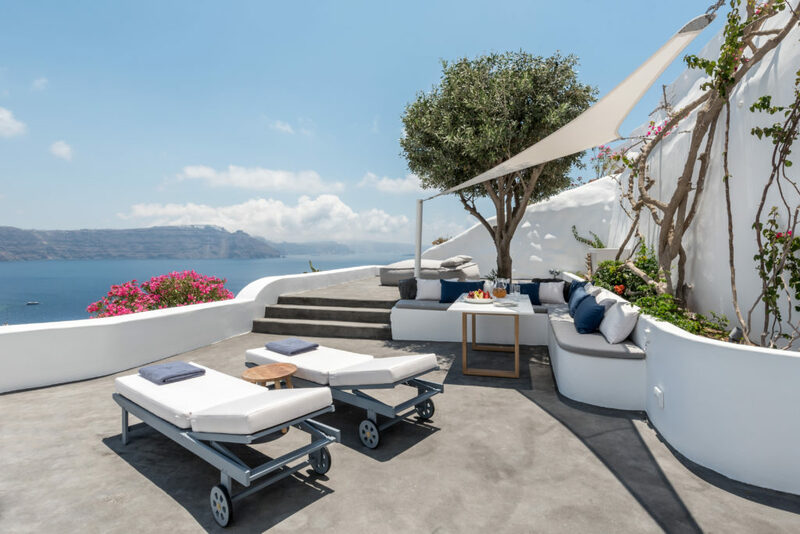 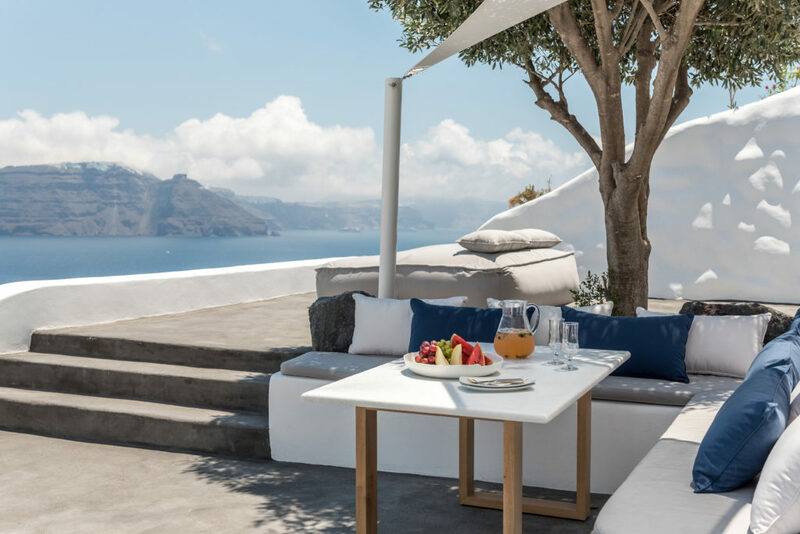 A large veranda overlooking the village the caldera and entire Santorini archipelagos offers a private open air dining area under the shadow of the perennial olive tree. 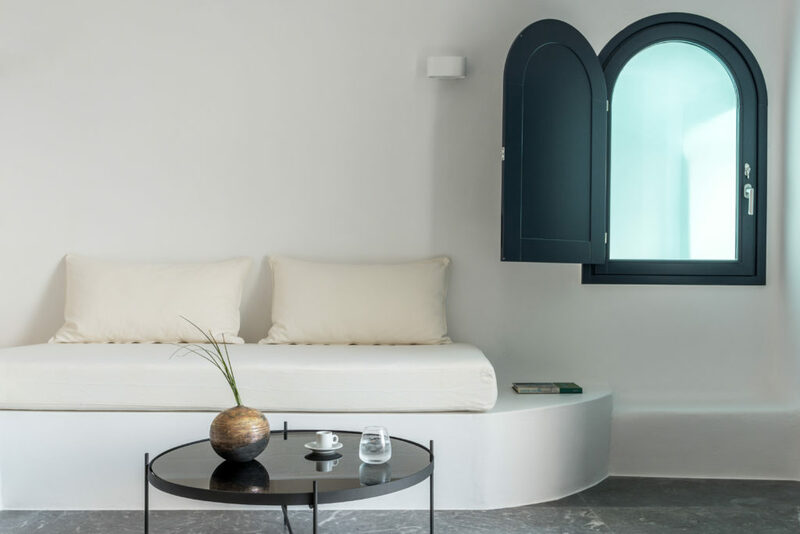 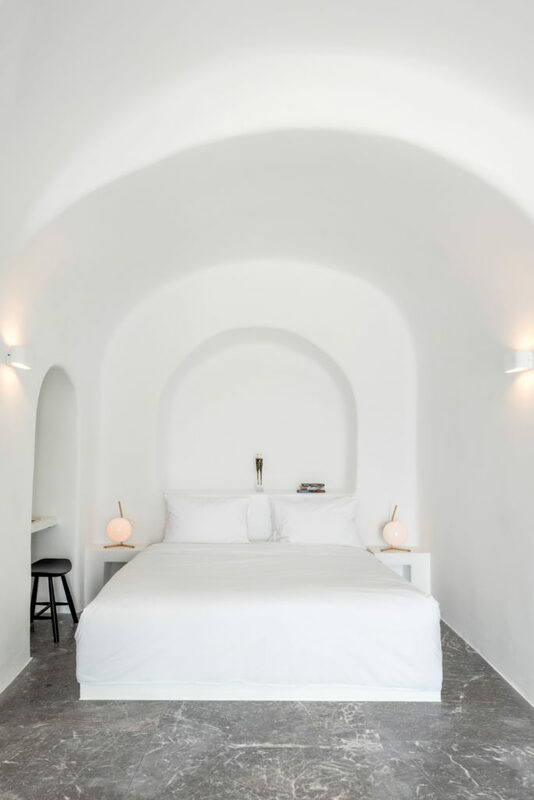 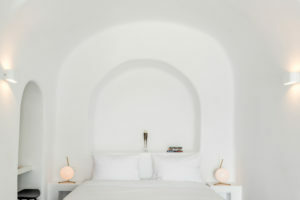 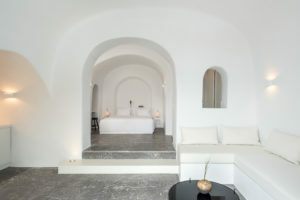 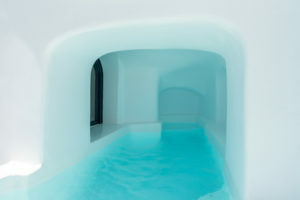 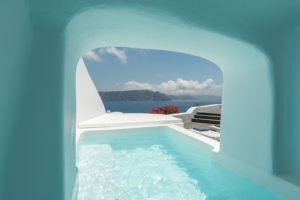 A whirlpool, sunbeds and cushions are waiting for you to relax after a Santorini sightseeing tour or day at the beach.